1 of 6 (!) 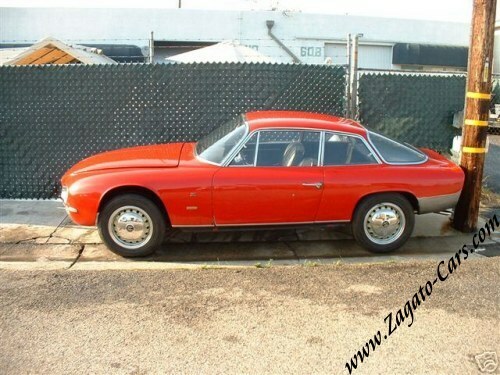 cars that were originally imported by Motoritalia into Peru. 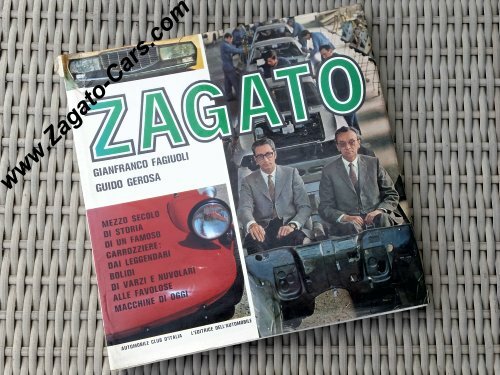 Offered the car on Ebay - Reserve not met at US$ 30.200. One of only 105 Made! 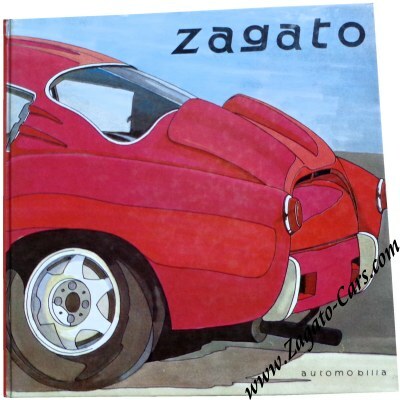 Stunning Zagato coachwork! Car runs and drives excellent on Webers. Original Solex carbs. included along with air cleaner assembly. 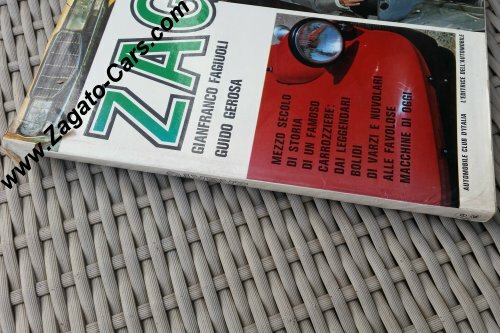 4 restored hub caps, Solid Boranni wire wheels Zagato series only. Bumpers removed and holes welded up, original front and rear bumpers included. 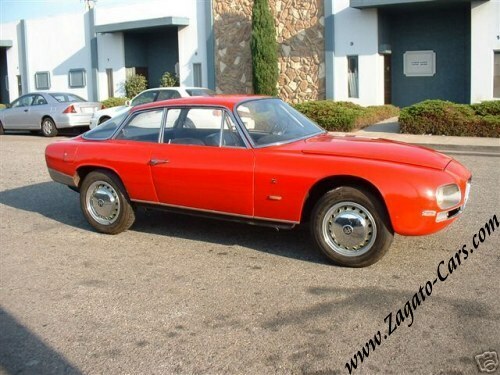 This is a very solid great running 2600 Zagato that is priced below market value. 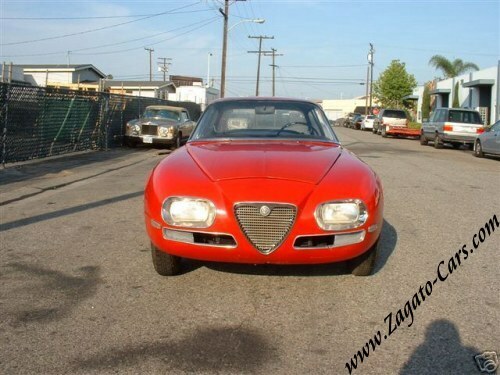 You can afford to restore this car and come out ahead. These cars are appreciating fast and very hard to come by. 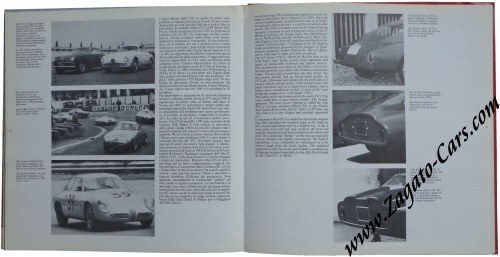 Don't miss out on owning this highly collectible rare and exotic car. This car also has disc brakes and a 5 speed trans. BID ON THIS BEAUTIFUL TREASURE NOW! Offered the for sale and it is marked as"Sold" now. "This car is not currently located at Fantasy Junction, but can be viewed by appointment. 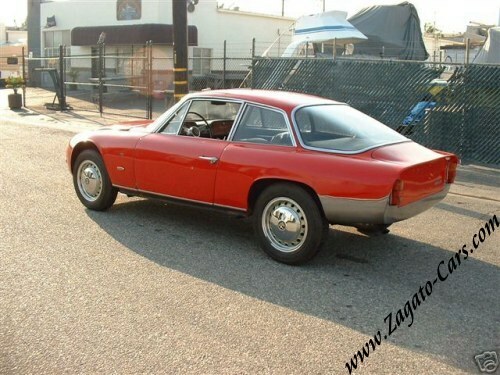 Thanks to its expressive styling, reduced weight, and rarity, the 2600 Sprint Zagato is the most desirable of all the 2600 variants. With a 300 lb. 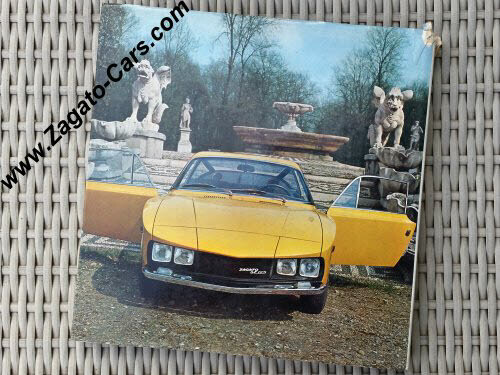 lighter curb weight and shorter wheelbase, it is more enjoyable to use than the 2600 Sprints by Bertone, yet retains that fantastic inline-six growl, which is especially lovely on this car due to its triple Weber carburetors. One of just 105 built, this is a very rare example which is fundamentally solid and an ideal candidate for light restoration. Cosmetically, the car is presentable; having seen some refurbishment in the past, but deserves additional time and effort. 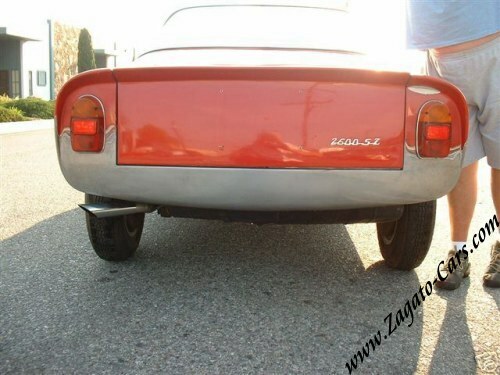 The body is rather straight and nearly rust-free, with much recent restorative work to the tail section. The gaps are very good throughout and the panels are generally straight. Parts of the car may have been repainted some years ago, while some of the car may remain original paint. Having said that, the new owner will most likely want to repaint the car in its entirety. 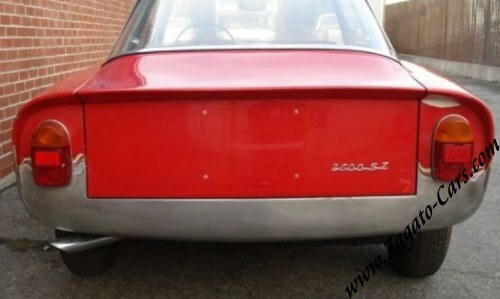 The chrome and stainless trim is generally complete and straight, but shows some age and weathering. The window glass is in good condition, with original side and rear glass, and very good replacement windscreen. 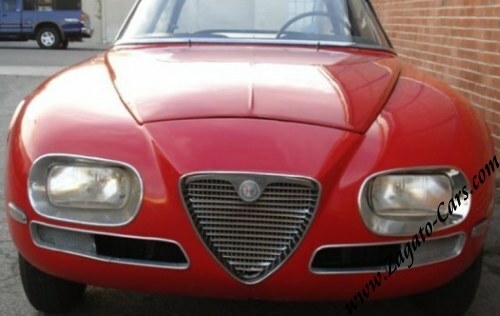 The difficult to replace Cibi� headlamps remain as original. The wheels, which are unique two-piece units with steel centers and alloy rims, are in good condition and fitted with older Michelin X series tires. The interior is likely very original. 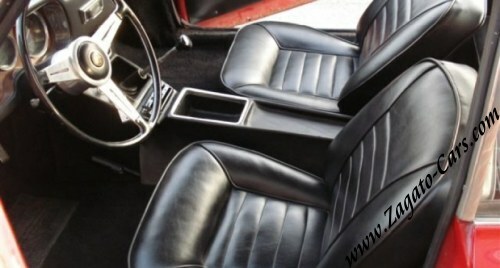 The seats, dash, and door panels appear to be upholstered in original vinyl, and are quite good considering their age. The carpets have been replaced with synthetic material. The headliner is average. The gauges, while correct to original, show minor fogging. 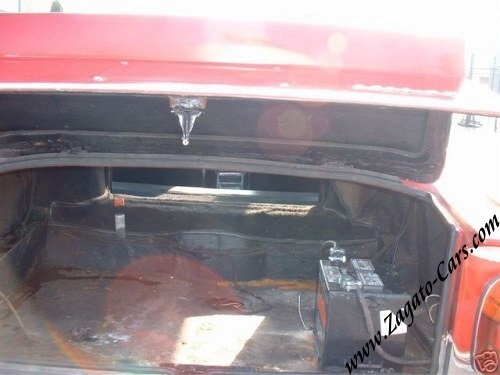 No shift boot or radio is fitted. 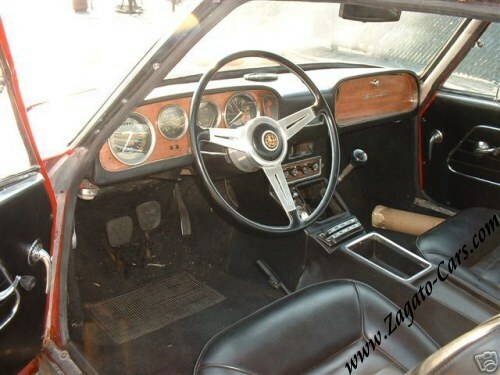 Much of the interior chrome deserves refinishing, but appears complete. 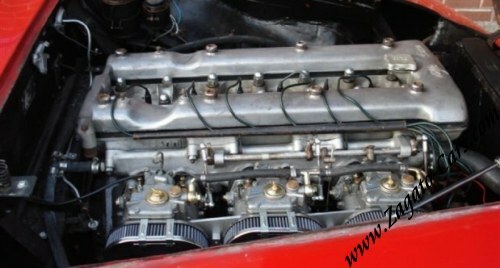 The engine compartment is in basic unrestored condition. 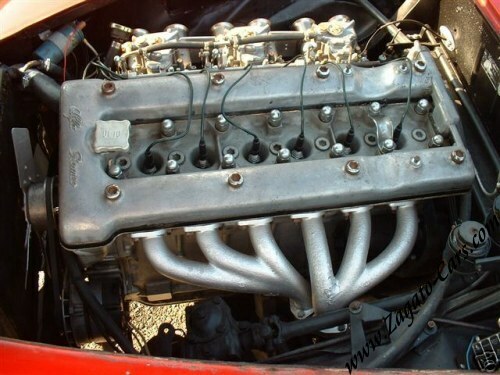 This car has been converted to the desirable triple Weber carburetor format. 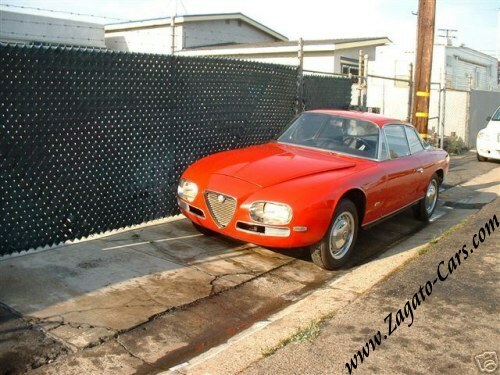 The carburetors have been recently tuned and synched by the local authority on Alfa Romeo 2600 Zagatos, Larry Anderson. Mechanically, the car should have additional service work performed. The transmission goes in and out of each gear, and has excellent syncros, but makes some bearing noises. The clutch operates normally. 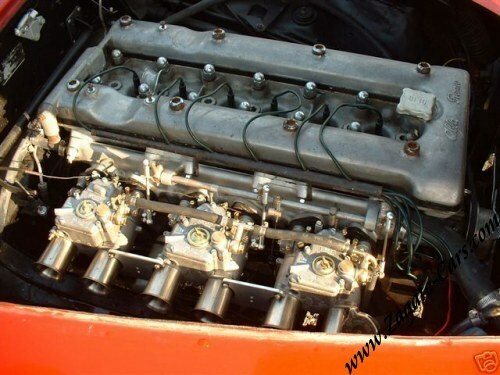 The engine starts easily and has good power but leaks oil at the rear of the head gasket. The brakes are effective. No wipers are fitted. At this time the car can be driven to demonstrate the above is correct, but should not be expected to complete an extended road trip. 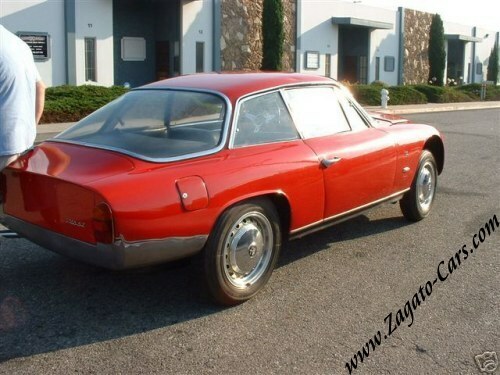 With just 105 of these example built by Zagato, there are rare finds and situated nicely for future appreciation. Once sorted, they are wonderful long distance machines, and will effortlessly cruise on the highway at 85 mph. Eligible for a growing number of tours and rallies; this 2600 will no doubt prove to be both an interesting discussion piece and a practical investment for the new owner."